Rob Michaud of East Millinocket captured a video of three Canada lynx while driving with his dad and his dog, Henry. Many Mainers go through life waiting to see one of our not-so-common critters cross their paths. Rob Michaud of East Millinocket had that happen to him Thursday afternoon while driving through Stacyville, as three Canada lynx showed up on the side of the road. And Michaud has the video to prove it. 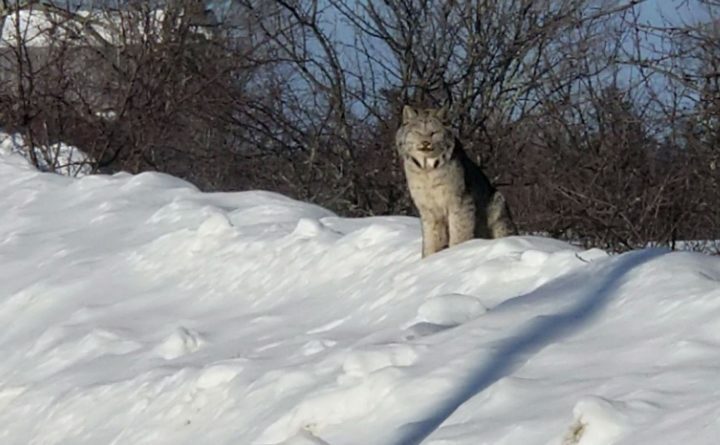 Michaud said it appeared that two of the lynx appeared to drive the other, larger cat away. And Henry the dog was none too impressed. While Michaud and his dad watched, Henry can be heard voicing his displeasure at the presence of three big cats.